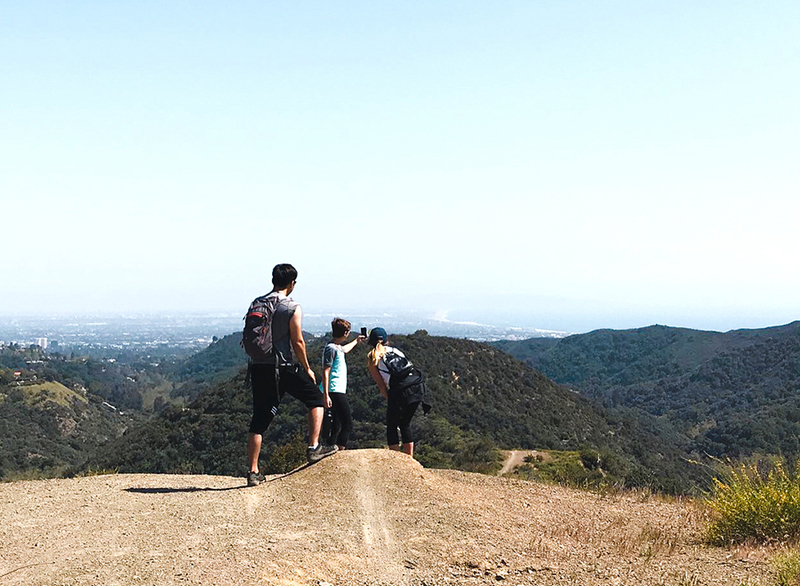 When the urban jungle becomes oppressive, fluorescent lighting and office life become unbearable, or you’re simply hoping to inhale some clean air (the rest of the country raves about it), the hiking scene in LA has you covered. And whatever your reason for hiking, we’ve got the perfect spot for you. Throw on a hat, pack some trail mix and water, and apply that sunscreen to go hiking near LA! Eagle Rock, nestled in Topanga State Park, provides hikers with soaring views from a seven-mile out-and-back trail. Save $10 by parking on Entrada Road before entering the park. And from Trippet Ranch, easily follow signs and well-kept trails to a boulder outcrop that juts out over the nearby terrain, resembling an eagle’s head. 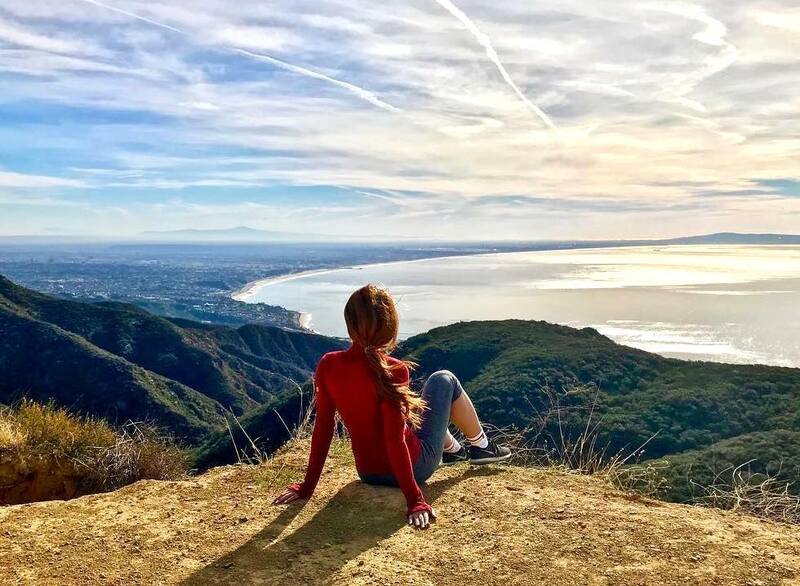 On clear days, hikers atop the rock can snag beautiful 360° views (sweet panorama pics) of the Pacific, the Santa Monica Mountains, and the San Fernando Valley. Hike back through time by hitting up Murphy Ranch in the Santa Monica Mountains National Recreational Area. Park on Casale Road, follow the Sullivan Fire Road, and later connect to the Backbone Trail for this four-mile out-and-back loop. Along the way, hikers will witness the ruins of the Hartford Artists’ Colony (and the remnants of several other bizarre historical entities) where artists and writers (some Pulitzer Prize winners) lived in the 1950s and ’60s. And the opportunity to work in one of the longest flight of stairs throughout LA, hikers will be rewarded with views of the Pacific Ocean and the Santa Monica Mountains. Away from the city but close to the beach, Solstice Canyon in the Santa Monica Mountains National Recreation Area offers all a bit of everything (so expect crowds): The oldest stone building in Malibu, a burned-down mansion, and a waterfall. Coast down and back the Solstice Canyon Trail for an easy three-mile out-and-back stroll, or rise up to a six-mile challenge by connecting with the Rising Sun Trail. 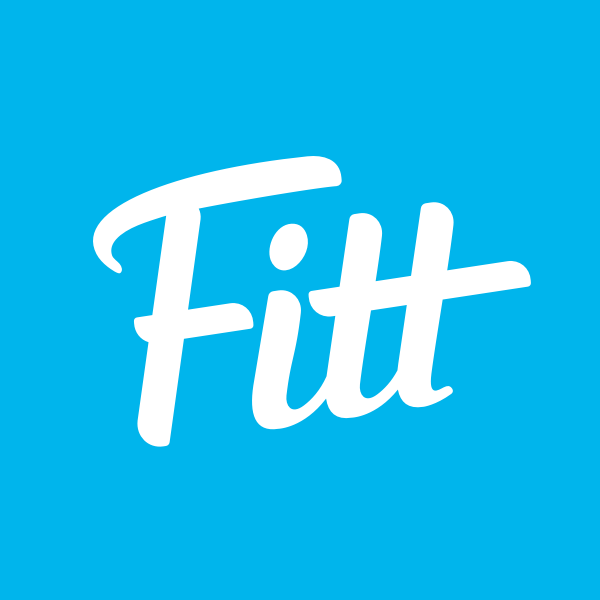 Fitt Tip: Find a cool parking spot on Corral Canyon Road. At Will Rogers State Historic Park, you’re granted a wealth of hiking options with a side of history. Paying $12 for parking, hikers can visit Will Rogers’ (a vaudeville and Hollywood star) 31-room ranch and watch a game of polo on a massive, grassy field before ascending Inspiration Loop Trail, a two-mile out-and-back trail that rewards the easy-going hiker with beautiful views of Los Angeles. En route to the top, hikers will be greeted by the occasional patch of shade thanks to overgrown trees as well as plenty of dogs whizzing by. 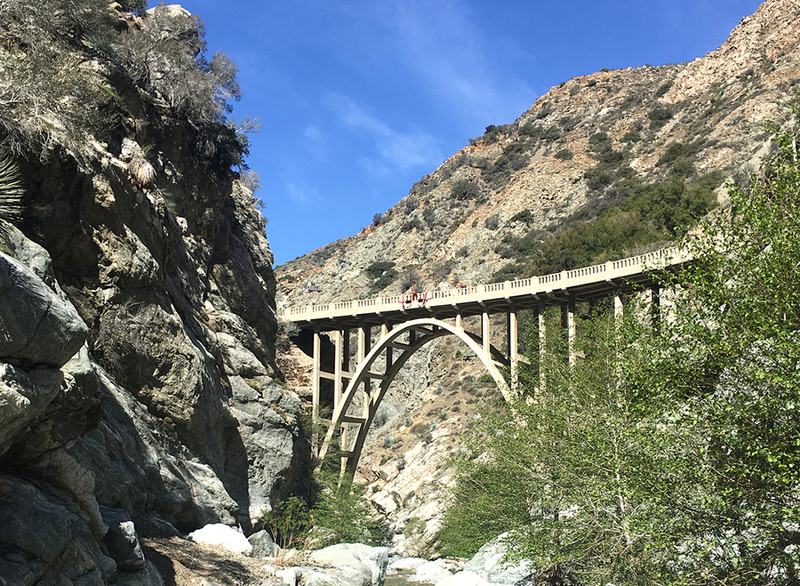 Make a day of the Bridge to Nowhere in the San Gabriel Mountains for an unparalleled hiking experience — it’s an eleven-mile round-trip hike. Kick things off at East Fork Road and follow Bridge to Nowhere signs, which will have you crossing multiple rivers, hiking over rough terrain, and jumping between pockets of shaded and expanses of sunny space. Eventually, you’ll end up at the Bridge to Nowhere—a 120-foot cement bridge that leads to (you guessed it) nowhere! FYI: buy a Wilderness Permit upon entering and hiking this part of the Sheep Mountain Wilderness, or you could get fined! 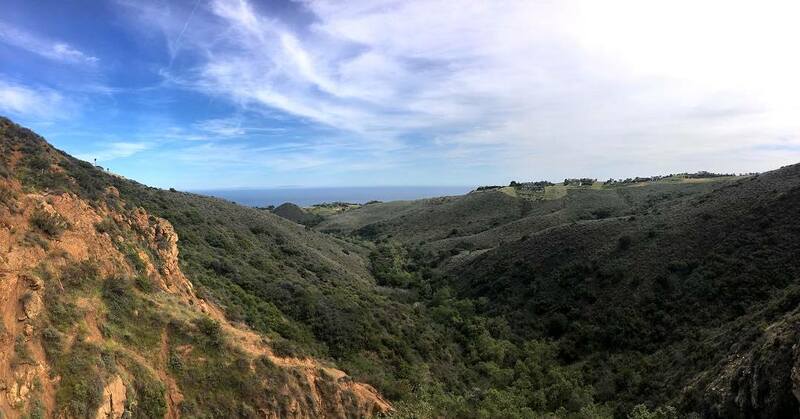 A phenomenal yet overlooked hike in the Santa Monica Mountains of Malibu, Tuna Canyon Park drops jaws with spectacular views from high above the Pacific Ocean. After a windy ride, park on Hearst Tank Mountway to access the Tuna Canyon Park Trailhead. From there, head towards the Big Rock Lateral (four-mile round-trip) or Hearst Tank Motorway (1.5-mile round-trip) viewpoints — though, we’d recommend doing both. From Hearst Tank, enjoy the ocean breeze as you breathe in views of the Santa Monica Bay and DTLA as well as walk through a complicated rock maze. From Big Rock, take in stunning views of the Malibu Coast and the deep canyons and tall peaks of the incredibly green Santa Monica Mountains. Within the San Gabriel Mountains of the Angeles National Forest, history buffs will love hiking Echo Mountain and Inspiration Point. Take Echo Mountain Trail for a six-mile out-and-back switchback extravaganza that plants you at the ruins of The Echo Mountain House and Chalet, where plaques and photos depict the remnants of this 19th-century mountaintop resort that now lays at your feet. And for those feeling really inspired, take Castle Canyon Trail up from this spot to reach Inspiration Point (for an impressive 10.5-mile total round-trip). 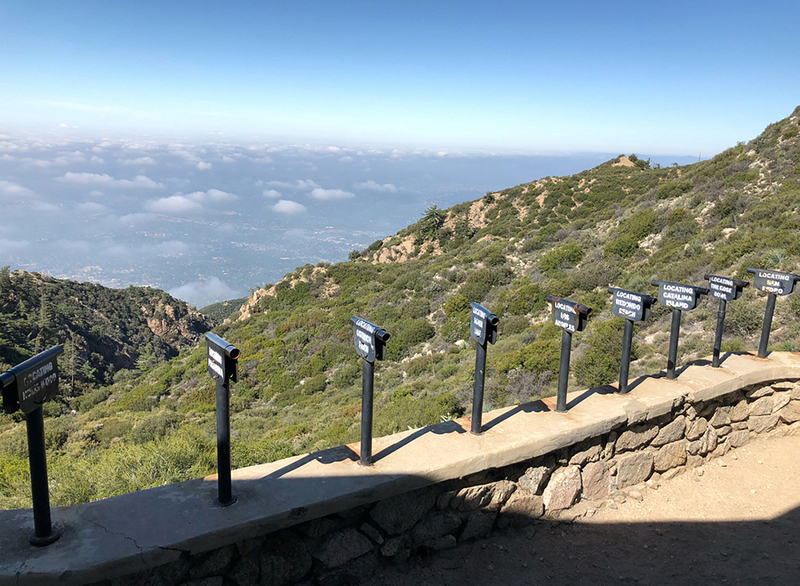 Inspiration Point lets hikers pinpoint different sites within the Greater LA area (from cities to landmarks to Catalina Island on clear days) with stationary “finding tubes”. 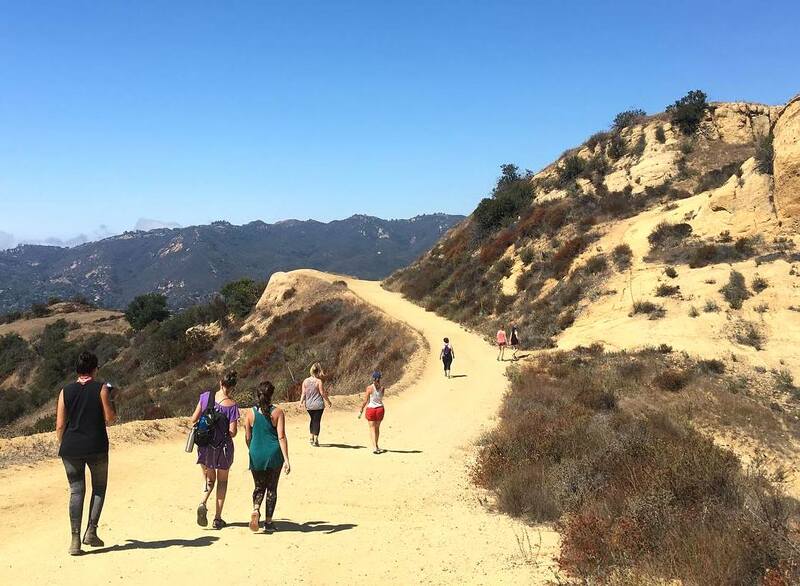 Crossing off two famous LA landmarks from your bucket list with one hike? Yes, please! Park in the spillover lot near Canyon Drive just north of Franklin and then backtrack until you hit a dirt road. On this brief section of the hike, Angelenos will come face-to-face with the original Batcave (the Bronson Caves) from the 1960s Batman television series. With one item checked off, turn back and head north from where you parked to get perhaps the best (legal) view of the Hollywood Sign once you summit Mount Lee. 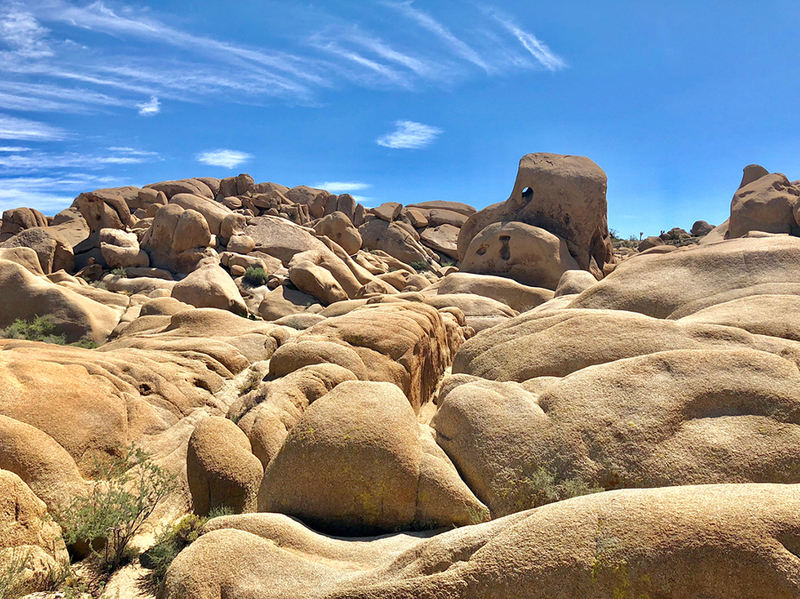 This dog-friendly route with minimal shade gets hot and packed on the weekends, so be sure to bring water, sunscreen, and your A-game when tackling these two cultural landmarks. 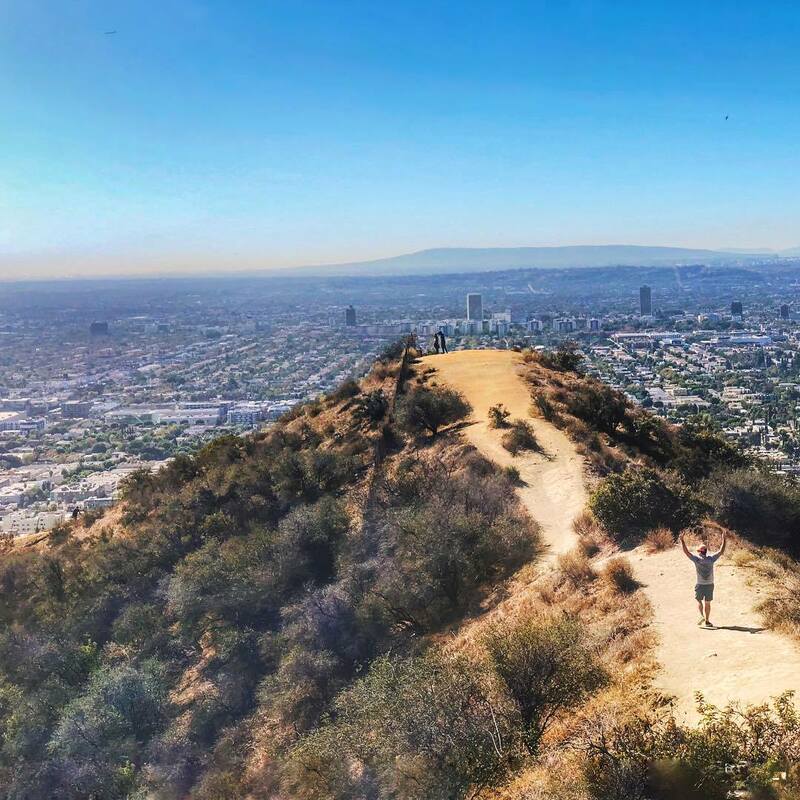 Chances are you have a friend of a friend in the LA area that loves to bring up their story of spotting a celebrity while hiking at Runyon Canyon. And while it may be annoying to hear for the 100th time, it’s 100% plausible! 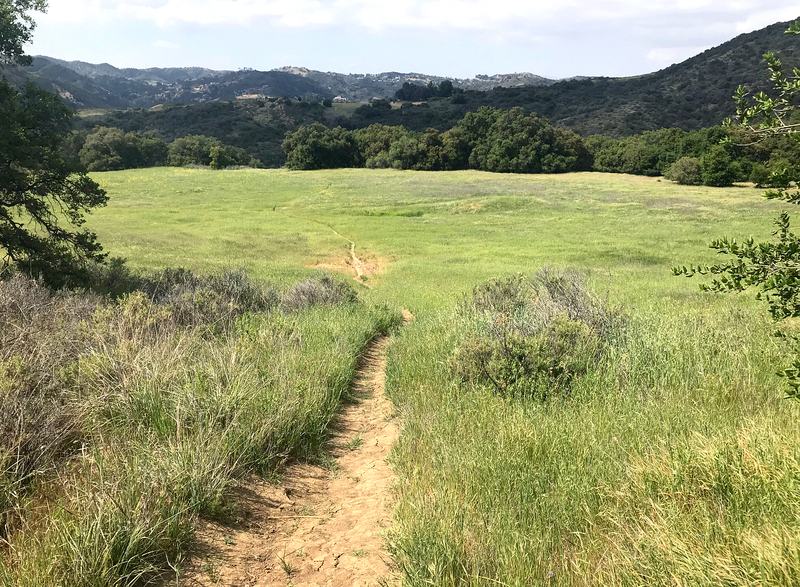 Rubbing elbows with celebrities at this popular three-mile loop trail in Hollywood is as certain as being swarmed by a pack of enthusiastic dogs on these trails… practically guaranteed. 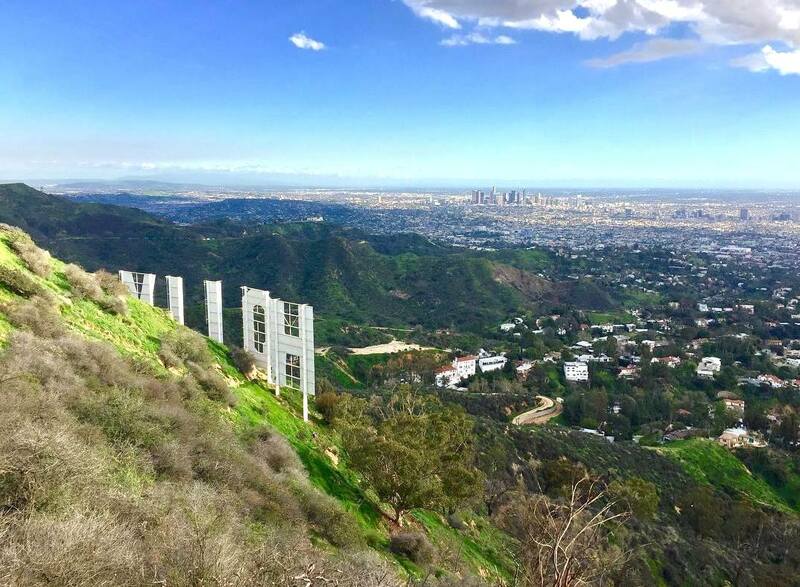 With views on a clear day of The Hollywood Sign, DTLA, and the ocean from a handful of vantage points, this relatively easy and hilly hike is popular—particularly on weekends—for good reason! A popular destination along the Temescal Canyon Trail, Skull Rock in Topanga State Park gets its name from an uncanny resemblance to a human skull and provides hikers a nice four-and-a-half-mile, out-and-back trip with stellar views of the ocean and the inland on clear days. Parking is plentiful, but watch out for that pesky stop sign camera! Avoid pulling a California Stop so you can save yourself from a hefty fine when entering or exiting the park. Need some advice? Pack up and hike Cahuenga Peak in Griffith Park to reach LA’s well-known Wisdom Tree. A difficult three-mile, out-and-back hike along the Aileen Getty Ridge Trail leads resilient hikers to the only tree on Cahuenga Peak that survived the 2007 Hollywood Hills fires. And those who overcome this short yet challenging hike will be treated to a literal “behind the scenes” look of the Hollywood sign. 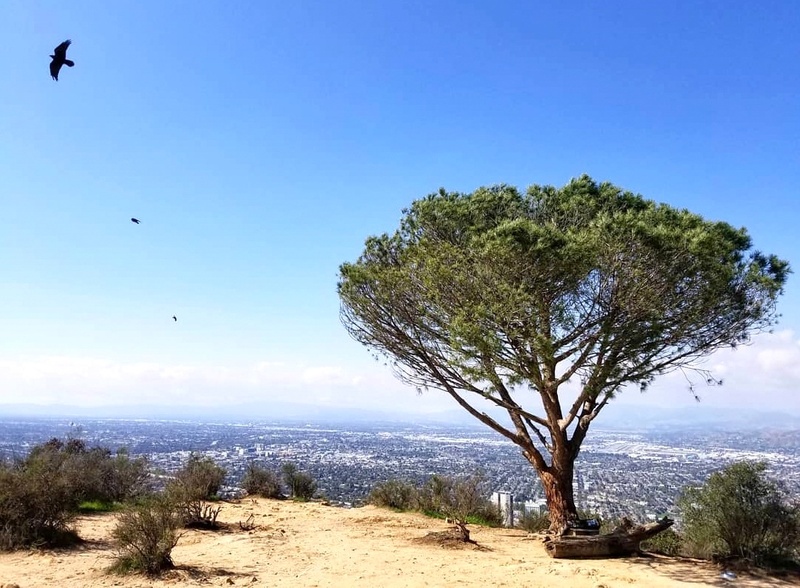 Add your personal touch to the Wisdom Tree overlook by signing a book that’s in a nearby geocache and soak in some beautiful vistas of Griffith Park, DTLA, and the Griffith Observatory before heading down the way you came. 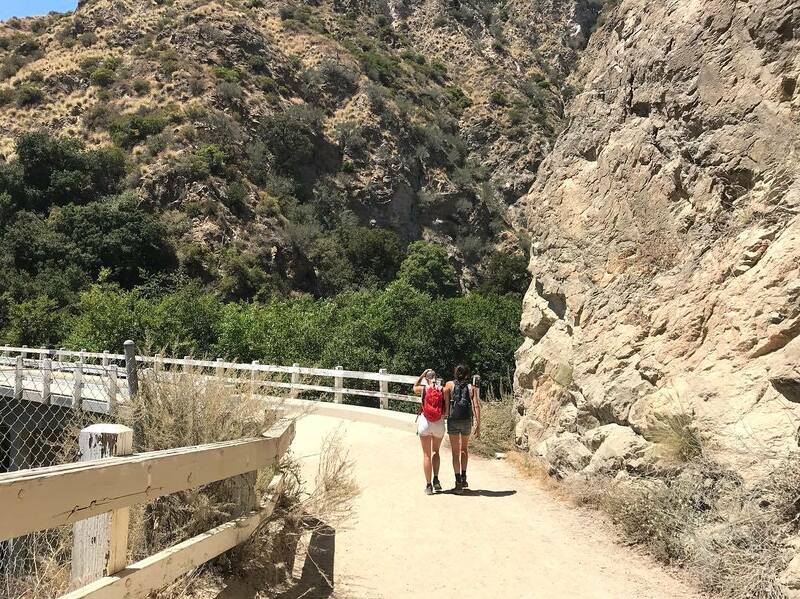 Within the San Gabriel Mountains of the Angeles National Forest, Eaton Canyon offers many similarities to other LA hikes, but on a smaller scale and through a rather easy four-mile, out-and-back trail. Begin at Eaton Canyon Creek and then hop over to Eaton Canyon Trail where you’ll be hopping over multiple streams, multiple times, as you move forward toward your destination: A 40-foot waterfall! Along the way, you’ll come across wildflowers and a handful of shady spots. And once you get to the waterfall, treat yo’ self to a refreshing dunk at the waterfall’s base. Did you know: Escondido Falls in the Santa Monica Mountains National Recreation Area is the tallest waterfall around at 150 feet. To get there, park on PCH or at the small lot near the Winding Way Trailhead in Malibu and start winding your way down the dirt path that parallels the paved road. 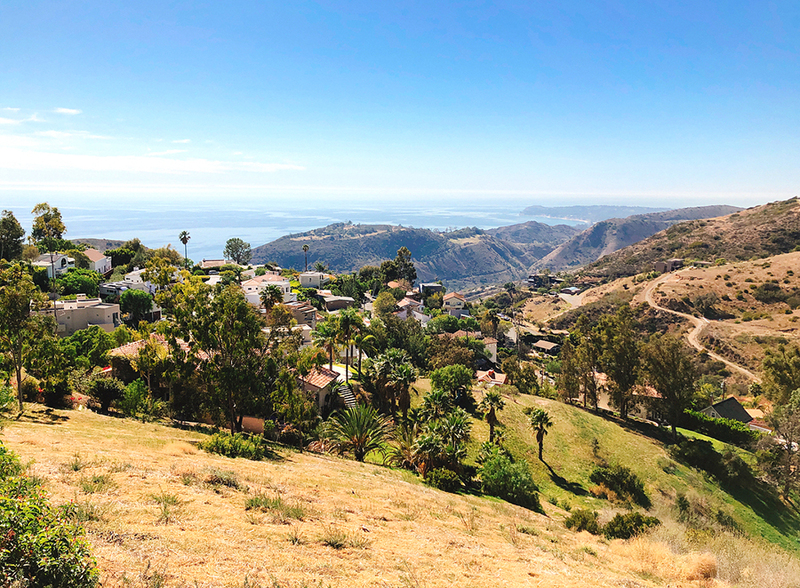 At the offset of this four-mile, out-and-back trip, hikers will pass million-dollar Malibu mansions before hitting mountainous trails with grand views and occasional pockets of shade. You’ll ultimately reach the multi-tiered Escondido Falls and can either chill at the Lower Falls or hike a bit more to reach the Upper Falls.